Water Efficient Upgrades from Mason Plumbing, Inc. Your toilet is one of the most used appliances in the home – and it is also one that uses the most water. Did you know that by installing a high efficiency toilet, you can be saving money each month on your water utility bills? High efficiency (or low-volume) toilets are those that use just 1.28 gallons per flush or less (compare that with older toilets that used 3.5 to 7 gallons per flush). 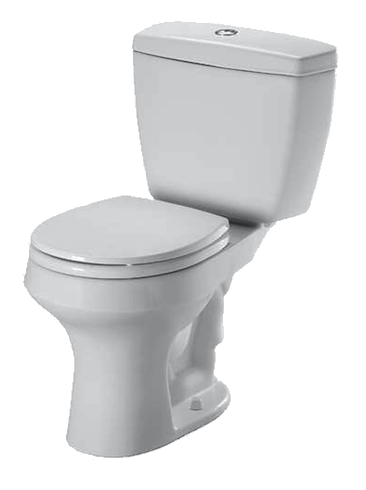 High efficiency toilets come in two types – single flush or dual flush. You might have seen dual flush toilets in a commercial setting, where you can pull up on the flush handle for urine, or push down for solid wastes. This allows the toilet to use more or less water depending on what its contents are. A hot water recirculating pump is another way to lessen your water use while still getting all the hot water needed to keep your family comfortable. 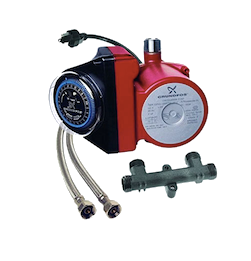 A hot water recirculating pump gives you a continuous flow of hot water, recirculating water that isn’t used back into your system. Traditional, non-recirculating systems allow the unused hot water to cool off inline, and then it needs to be displaced in order to make room for newly-heated water to make it to your faucets. This, as you can imagine, is wasteful of your time, your money, and of the water resource itself. You can save approximately 31 gallons of water a day (that’s 11,461 gallons of water per year) by installing a hot water recirculating pump in your home right now. Call Mason Plumbing, Inc. today to get more information about hot water recirculating pumps and how to get one installed in your home. The Mason Plumbing, Inc. warranty includes factory warranties on company-supplied materials and 2-year labor warranty on plumbing installations.